Benchtop shaker CERTOMAT RM shows all the features of the CERTOMAT S II shakers with one important technical detail in addition: Adjustable mass compensation. While all other benchtop shakers have to use a fixed weight to compensate imbalances caused by the movement of mass, the CERTOMAT RM has a compensation weight that can be moved along an axis to the position optimally counteracting imbalance. This patented feature makes it possible to run even high loads at maximum speed without increased vibration and running noise. Setting of the compensation weight is done from the outside of the housing with a simple tool. 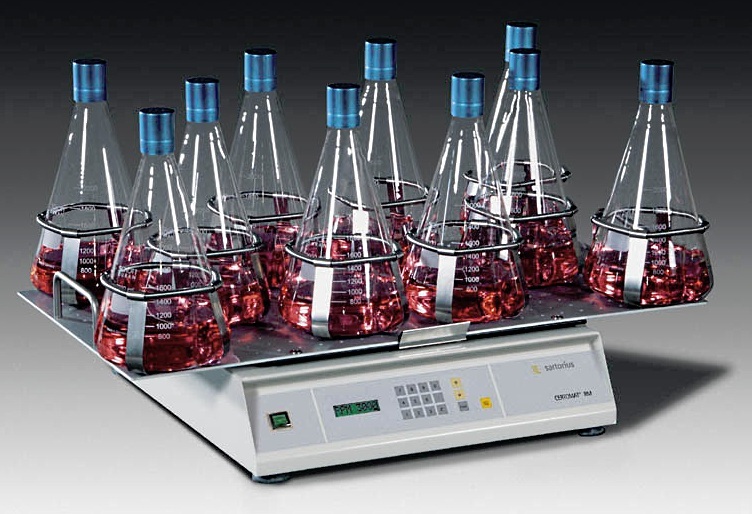 In chemistry the CERTOMAT RM allows the mixing of various liquids or the extraction of substances using phase separation methods. In microbiology cells can be cultured at ambient temperature. 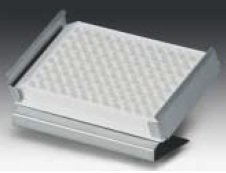 For temperature control the shaker can be placed in a hot room or incubation hoods can be used. The universal benchtop orbital shaker CERTOMAT RM with microprocessor control has a powerful, robust, triple bearing brushless drive. Ideal for cultivating microorganisms and shaking separation funnels or other types of vessels.